It’s time once again to turn to Monique and listen to her email to her daughter Sylvie. As usual Mark and Pierre-Benoît are on hand to discuss the language contained in the email. After presenting Monique’s email, Mark gives a summary of the main narrative points of the text, and then Pierre-Benoît discusses the four language points he has chosen from the text. Through examples and explanations, Mark and Pierre-Benoît will help you to understand the French used by our characters in their texts, and you’ll be able to build your range of expression, increase your vocabulary and deepen your understanding of complex grammatical concepts. Please note that lesson 09 of Season 4 was originally known as lesson 409 of Coffee Break French. We have renumbered the lessons of each season as lessons 1-40 to make things more simple for our listeners. 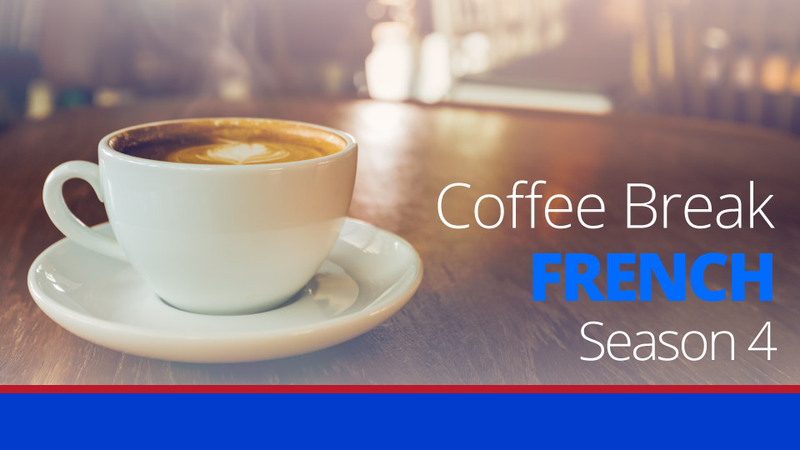 The premium version of Coffee Break French Season 4 provides additional materials which will help you move forward more effectively with your French studies. These are available on the Coffee Break Academy. 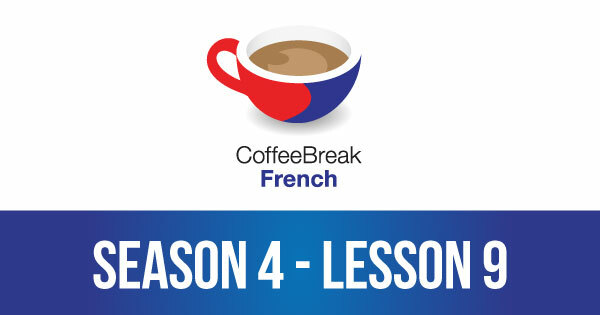 Each lesson of Coffee Break French Season 4 features en exclusive "language study" episode which provides detailed analysis of the language included. You'll be able to follow every word of the lessons with our transcripts which include vocabulary for tricky words and expressions. It is always a pleasure to listen to Coffee Break French and very rewarding, I get so much from you guys, I can not describe how much I’ve learning from you website, You guys are wonderful, I am always looking forward to listen to your explanation what is done so well.. Many thanks – merci beaucoup! The audio here seems to be actually a copy of Season 4, Lesson 10. Really enjoy listening to and learning from the podcasts though, thank you!